Join us to shop my discontinued samples at DEEP discounts (40-75% off), and to shop our current line as well--including our new bags and wallets--they are a must see if you haven't seen them yet! Those attending will have first dibs at the Sample Sale items. If you can't make it, I will email a list of the remaining samples after the event. Book a trunk show for the remainder of June (yes, there's still time!) or to be one of my debut hostesses for the new line that launches in July and you'll be eligible for an extra 10% off your total sample sale purchase or free shipping on your current line purchase. 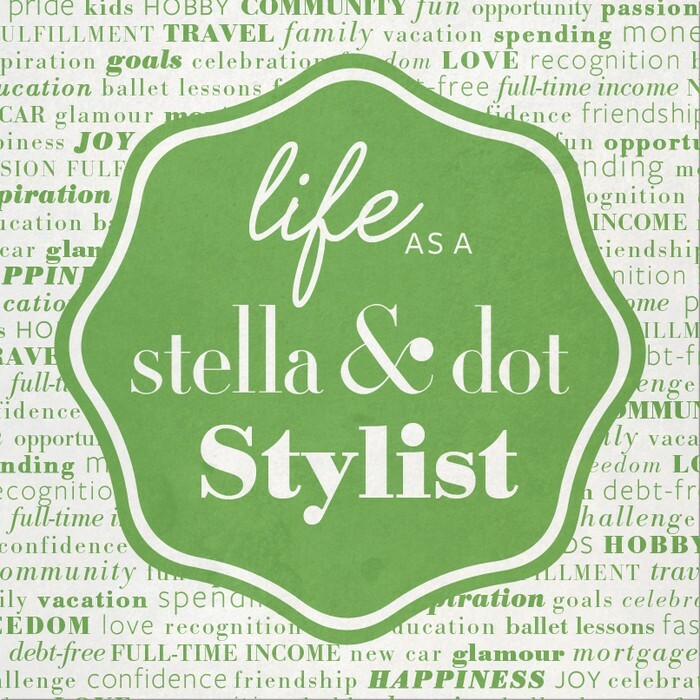 Sign up as a stylist this month and get an extra $100 in free product. Pay for your summer vacation, school supplies for the fall, or whatever else you can dream up! Our opportunity is WIDE open! For every $50 you spend in June, earn $25 Dot Dollars to spend in July! Minimum purchase of $50 of jewelry required to redeem Dot Dollars. Earn unlimited Dot Dollars this month! 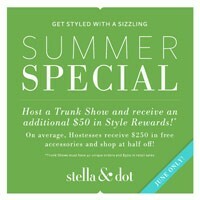 We love our hostesses, and because we do, we're offering an extra $50 in product credit with a qualifying June trunk show. Get with me for the dates I still have available!